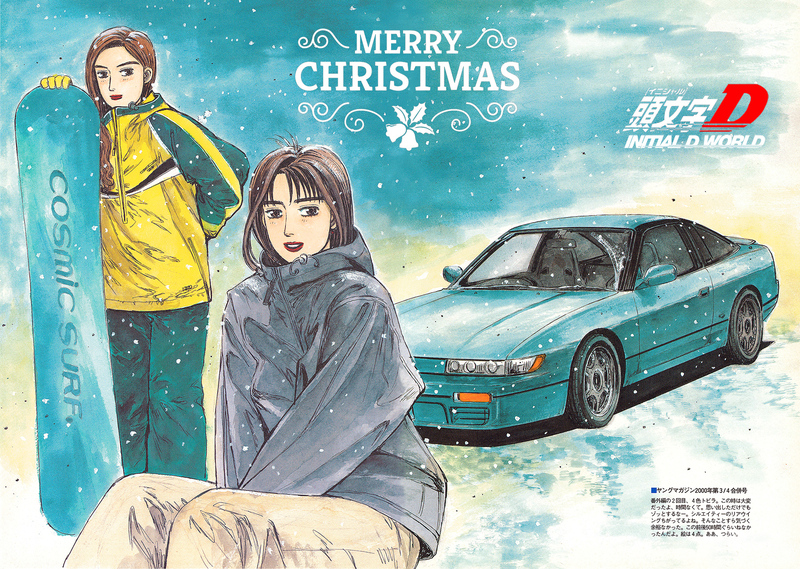 Initial D World - Discussion Board / Forums -> Merry Christmas and Happy New Year! Season's Greetings and Best Wishes for a Happy New Year from Initial D World!! Initial D New Movie Legend 1: Awakening will be released on Blu-ray the day after Christmas. We have not heard any fansub group that will be translating it yet. However, as many people who already went to watch the movie pointed out, besides the change of voice actors, the dialog is identical to First Stage. Die-hard Initial D fans probably wouldn't even need subtitles for this movie. Expect the raws to come out a few days after Christmas. We'll keep you posted. Merry Christmas, everyone!! Image size reduced, original size: 1800 x 1281. Click here to view the image in its original dimension.